"One mistake games can make is to simply not acknowledge it." The portrayal of violence in video games needs to fit with a game's story, Ubisoft has said, while discussing the prominent part that bloodshed plays in tropical shooter Far Cry 3. "Violence and artistic value aren't mutually exclusive," Far Cry 3 lead game designer Mark Thompson told VG247. "It's more about how honest you are with people regarding the games' core mechanics and the story's characters. "One mistake that games can make is to simply not acknowledge the violence and pretend like it isn't important, that their protagonist is nonchalantly killing a ton of people. If you ignore what your core mechanics are asking players to do, if you pretend like players aren't being rewarded for killing, then it will undermine the narrative." 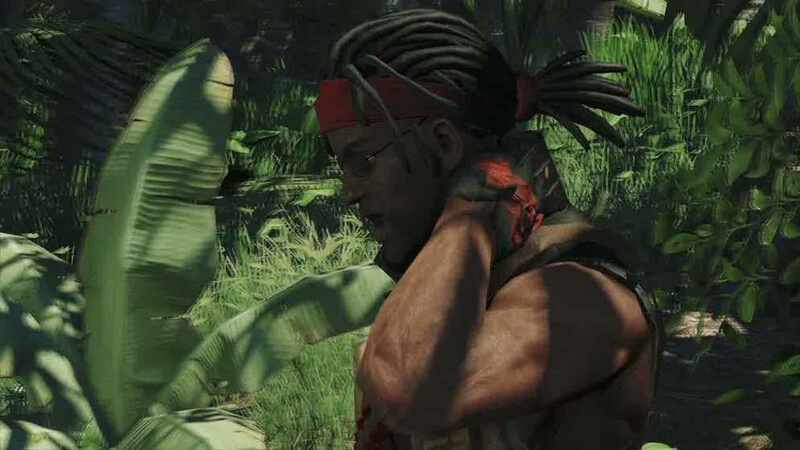 The plot of Far Cry 3 plays upon its hero not being a natural born killer. He's not a hitman or an assassin or a soldier - he's just a normal guy. "We addressed this head on and wrote a story that was about the core mechanic, about killing," Thompson said. "It doesn't judge whether this is right or wrong. It isn't about creating a morality play. We simply take someone who hasn't killed before and force them to kill, in order to save their own life and then the lives of their closest friends. " Far Cry 3 echoes the plotline of Crystal Dynamic's upcoming Tomb Raider reboot, where a young Lara Croft is forced to kill for the first time, in order to save herself from danger. Thompson's comments also correlate with those of Ubisoft creative lynchpin Michel Ancel, who last year railed against FPS games that included violence without "meaning". "The thing I hate the most is when you see people doing bad things and the player can say, 'okay I have the right to kill them in horrible ways because they are horrible'. If you kill Nazis with the same methods as the Nazis themselves then you are Nazis too, no?" he asked. "One mistake that games can make is to simply not acknowledge the violence and pretend like it isn't important, that their protagonist is nonchalantly killing a ton of people."